Dr. Kirsi Savusalo | Marc L. Nevins, D.M.D. 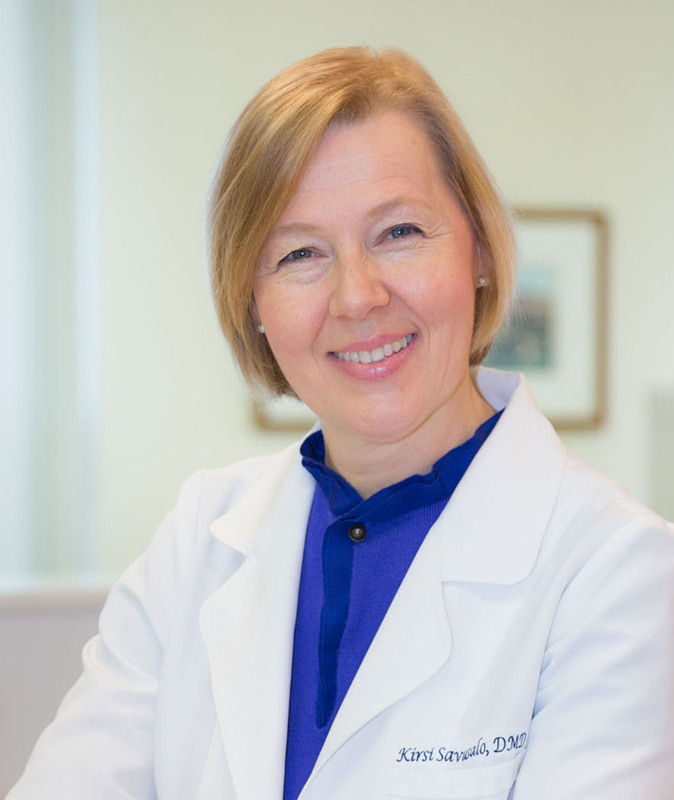 Kirsi Savusalo, DMD is a graduate with honors of Boston University Goldman School of Dental Medicine and the University of Oulu Institute of dental Medicine, Finland. Dr. Savusalo practiced general dentistry in Finland before moving to Massachusetts. She earned her DMD and Certificate of Advanced Graduate Study in Orthodontics and Dentofacial Orthopedics at the Boston University of Goldman School of Dental Medicine in 1999 and 2001, respectively. She is a member of the American Association of Orthodontists, American Dental Association, Massachusetts Dental Society and Finnish Dental Association. She dedicates time every year to continuing education and has practiced orthodontics to the highest standards since 2001. Dr. Kirsi Savusalo is dedicated to providing adults and children with the finest quality orthodontic treatment in a professional and friendly environment. She delivers expertise and care with the latest advances, a high degree of detail, and personal attention to each patient. Dr. Savusalo’s goal is to create good health and beautiful esthetics with the best possible dental and facial orthodontic outcomes. Click here to learn more about the orthodontic services we offer. Dr. Nevins did a thorough review of my medical history and then gave me an exam. We were able to define a first step that made sense. He also put to rest some of the fears that had been caused by the first provider. Dr. Nevins has worked on gum recession and other procedures with absolute perfection. He’s knowledgeable, extremely detail oriented and is the top doctor; expert in his field. I came to Dr. Nevins for a second opinion and was very impressed with the level of detail explaining the options and the pros/cons. They spent a lot of time trying to get to the right answer and to make sure I understood the issues. Marc L. Nevins, D.M.D., M.M.Sc., P.C. © 2018 - Boston Periodontics & Dental Implants, Marc L. Nevins, D.M.D., M.M.Sc., P.C.